The intake is an Assault dual plane air gap intake. If you look closely the casting looks like poop. I should have just sprung a little more and paid for the edlebrock version. The throttle body injection is the Fitech GoEfi 4 600 horse version. I am going to see how it works out. I have a few friends that have it and have no complaints. If it works well I think I'm going to get PA version which can account for boost. 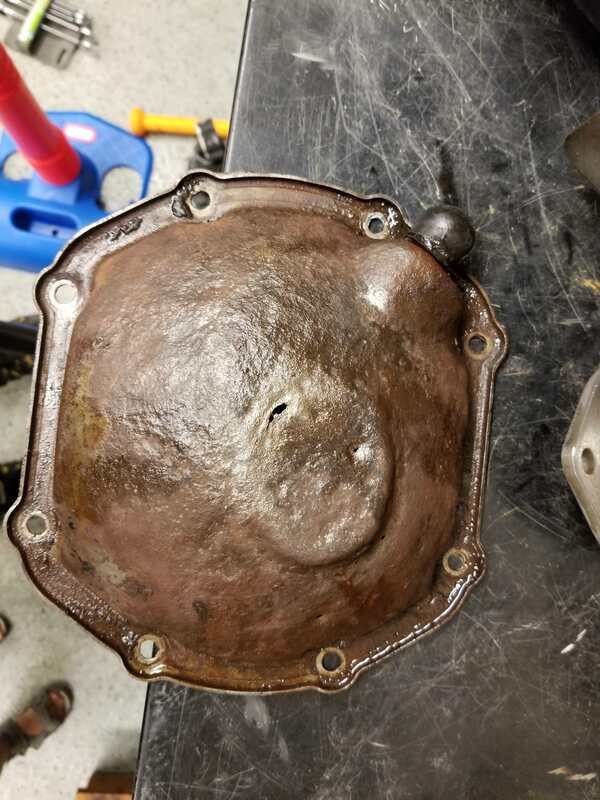 IntercooledFlatty - Did you just fab a one piece driveline to the torque tube? Back to it! I didn't like hard mounting the engine to the frame. I can just see some issues there, so I remade the motor mounts with new rubber mounts from a 70's dodge pickup. I had a few laying around so I utilized them for this project. I pictured one below so you can see what they look like. The mounts are mainly finished. 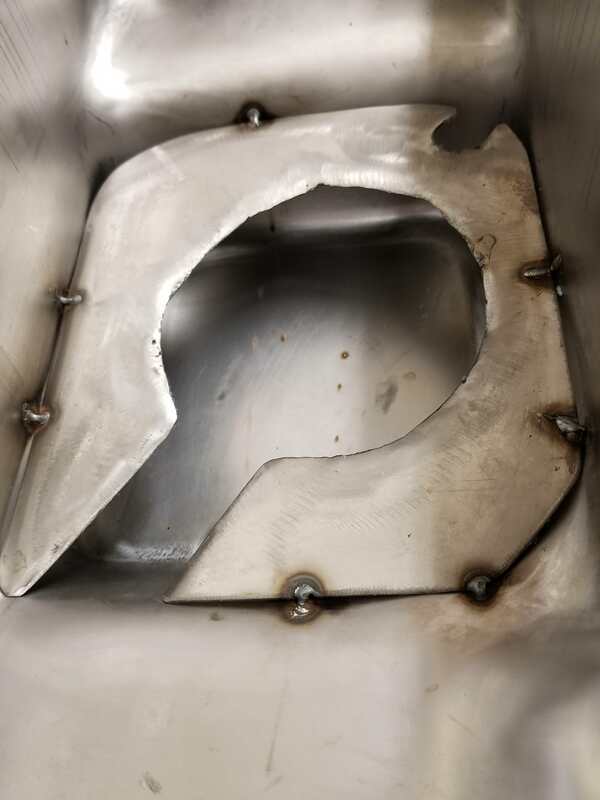 A little more welding and cleaning up is required by I want to make sure I want to commit to the design first. Recently I have labeled all of the wires under the hood to see what I can delete and what I have to keep. I am now looking at making a new cross member between the lower control arms. 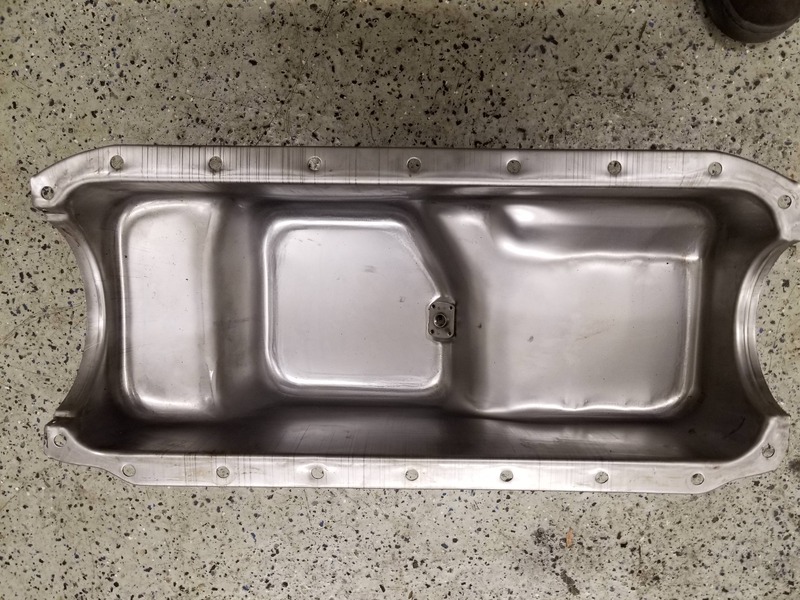 The oil pan is in the way to go straight across so i am contemplating going around the pan on both sides or making one that goes below the pan with square tube. I'm not sure how low that will hang when the car is on the ground. I am also looking at purchasing a new tube bender. I am looking between the affordable bender or the JD2. 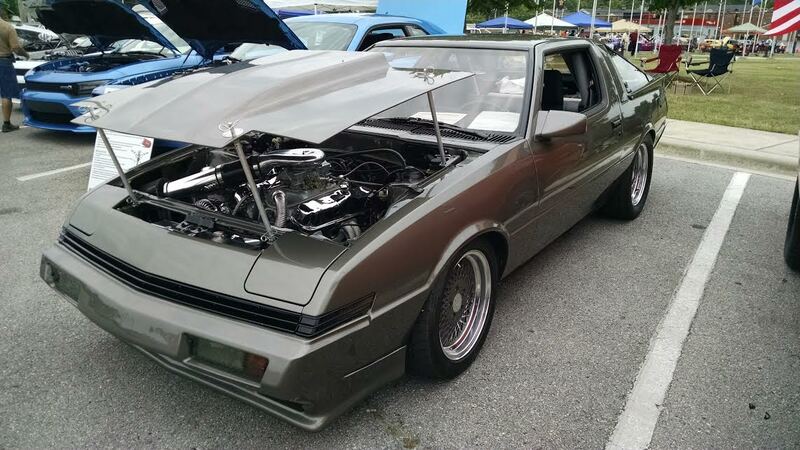 I need to make a tube front end and roll cage. I will also use it on other projects, but not for daily use. Any opinions here would be appreciated if any of you have used one or the other. I have made a new drive line which i can take a picture later of. I am also looking for some bushings for the whole car. I think that is where my "lean" is coming from in the rear as the sub frame is straight. More to come as my goal is to have this car finished by April. This is our first drift event here is South Dakota. i'd stay away from rubber mounts, just go solid, it's not bad at all. 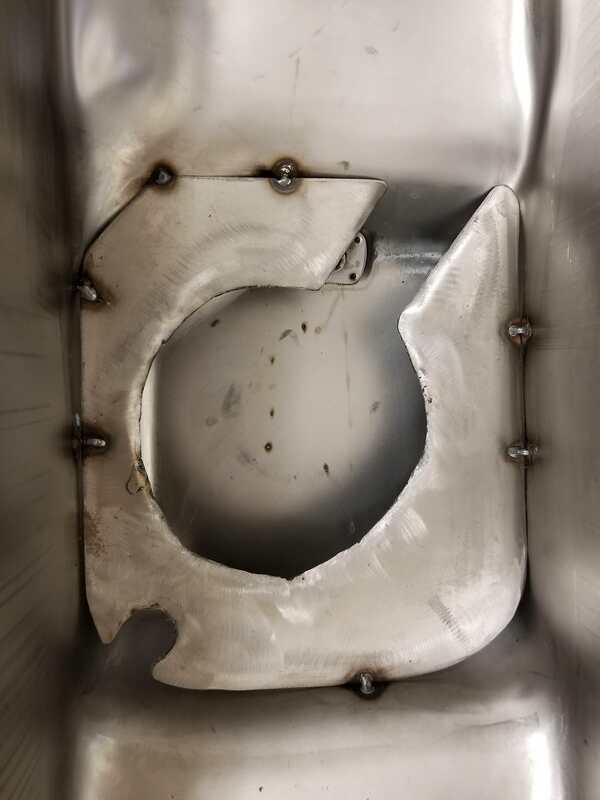 go around the oil pan on your cross member, if you go under it will be way to low. The baby driveline. Pretty expensive for a little guy. 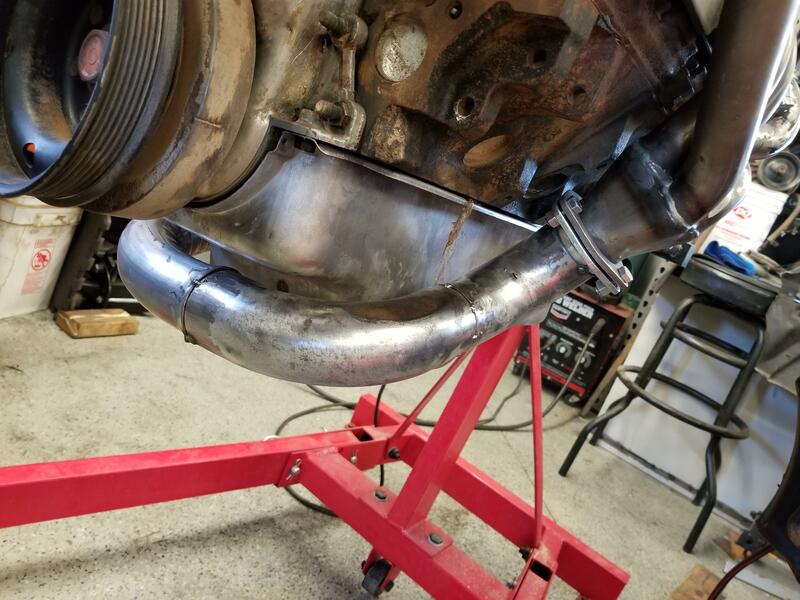 i gave the driveline my driveshaft, a new rear u-joint and 904 yoke, he supplied the front u-joint, $125 out the door ... not too bad. how's everything going ? We don't have too many driveshaft shops here. Only 2 actually that would do the work. I did the same thing but it cost $300 out the door. That's pretty typical here. The car is going well. 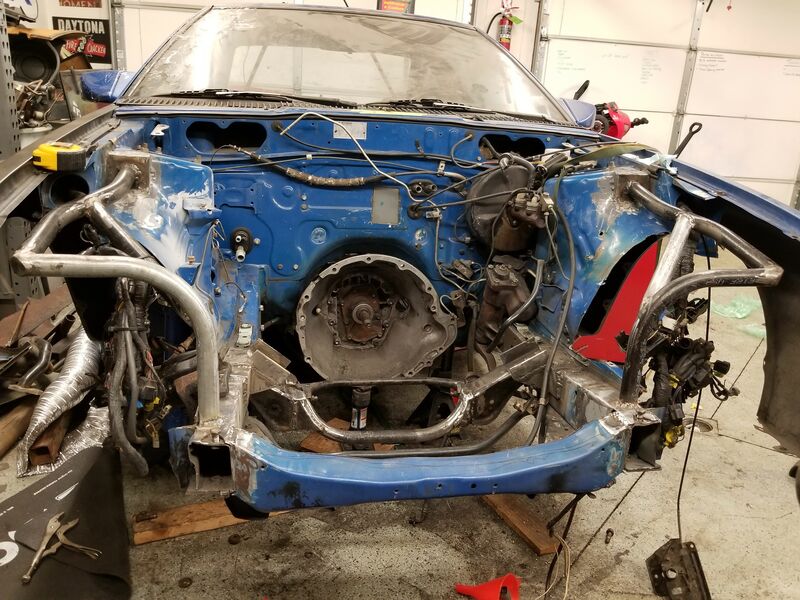 I have been working pretty hard trying to get it done for a show/drift event weekend which is basically 3 weeks away. 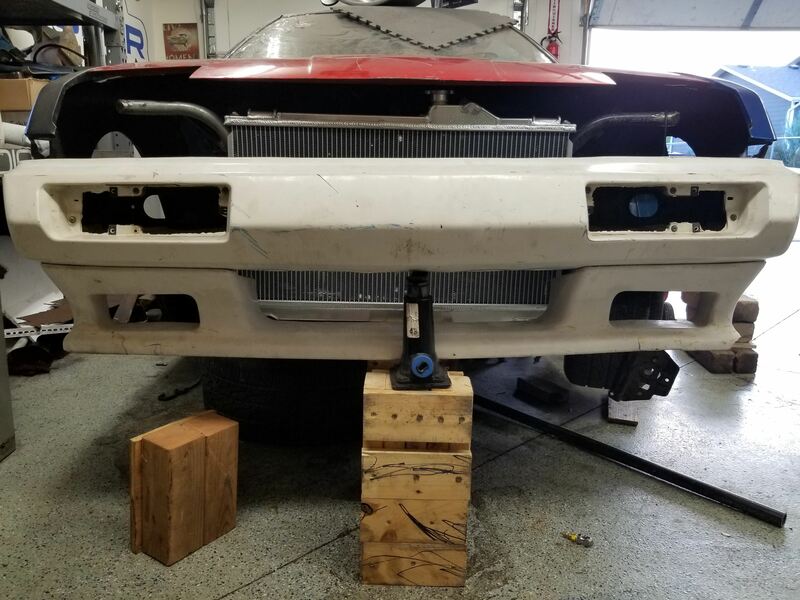 I am building a front end currently, trying to get the fenders and doors aligned so I can make new mounts for the bumper, headlights and everything else up there. I wish the car hadn't been wrecked, this part of the process is taking forever. 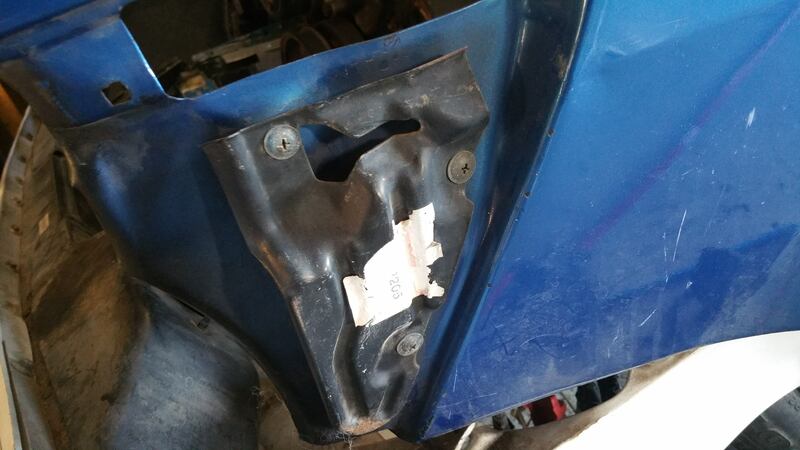 I am also looking for the rear subframe mounts. 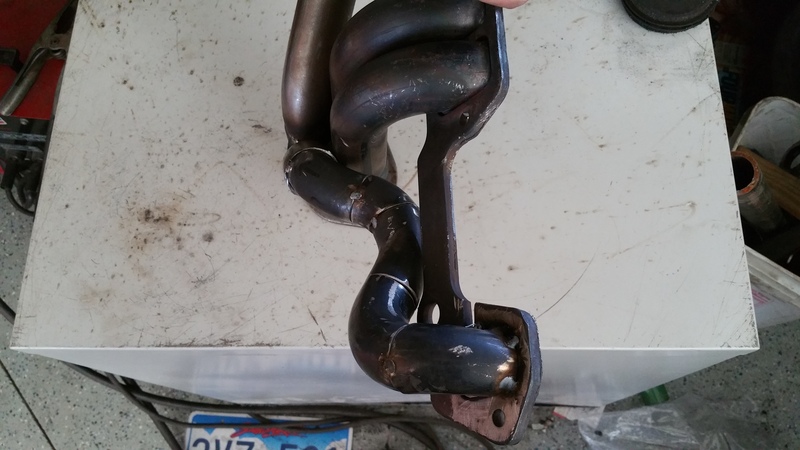 I have been trying to take that apart to see if the subframe was bent or if the mounts are just bad. If I take it apart I want to have new mounts ready to just put back in. I also fixed the steering wheel adjuster. It would not stay put and every time I drove the car the steering wheel would freely move up and down. I pulled it all apart and ground the backing plate. Works great now and doesn't seem to want to work its way out. I'll update some pictures soon. Once it actually looks like there is progress. Lots of work done on the car but it seems hardly anything to show for it. So many things I have done and redone because I didn't like it or it wouldnt work for something else. Some of these pictures and updates are months old but I'll do my best to catch the thread up. 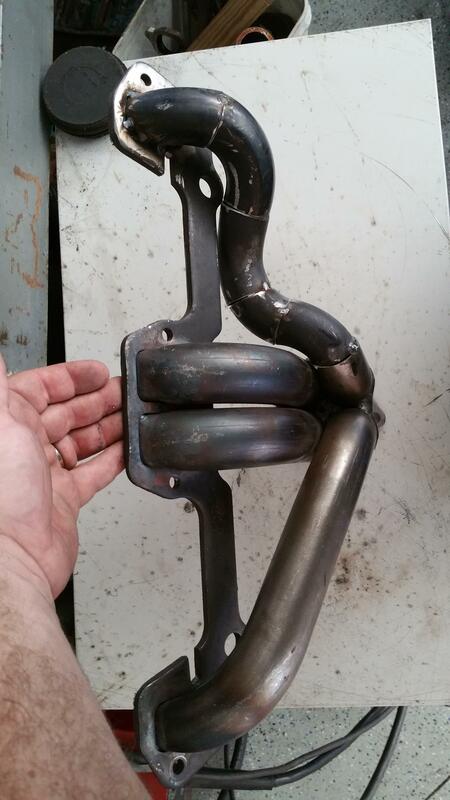 I ordered a set of block hugger headers from summit. 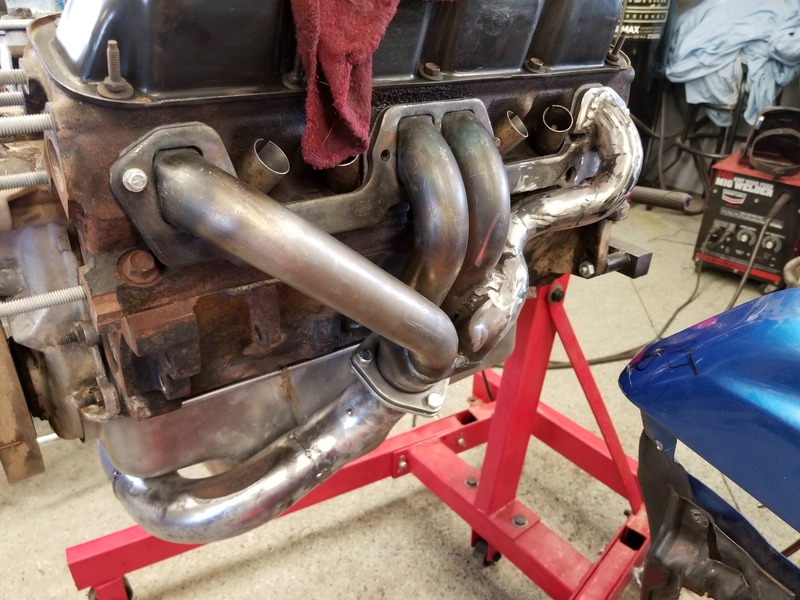 I was afraid that if I did a full length header I would run in to problems with fitment. As you can see (for now) I had to modify cylinder 8 to work around the steering box. I will eventually go rack and pinion but right now I just want the car on the ground. All of the wearable items in the steering were just replaced by the previous owner. 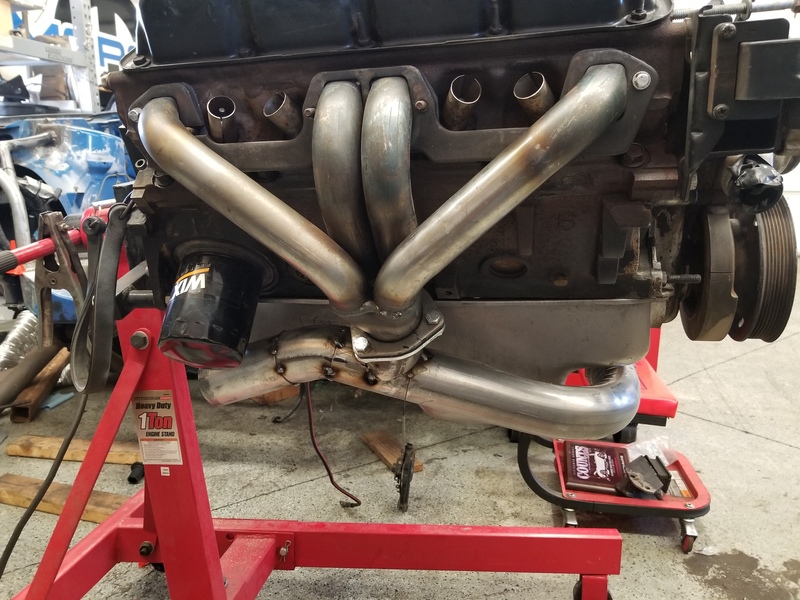 I am just going single 3" exhaust out the back. Plus I may run a power adder down the road. This prompted me to run the exhaust from the drivers side, around the front of the motor to the passenger side and connect to one single outlet. Edited by sdrt, 21 February 2018 - 04:31 PM. 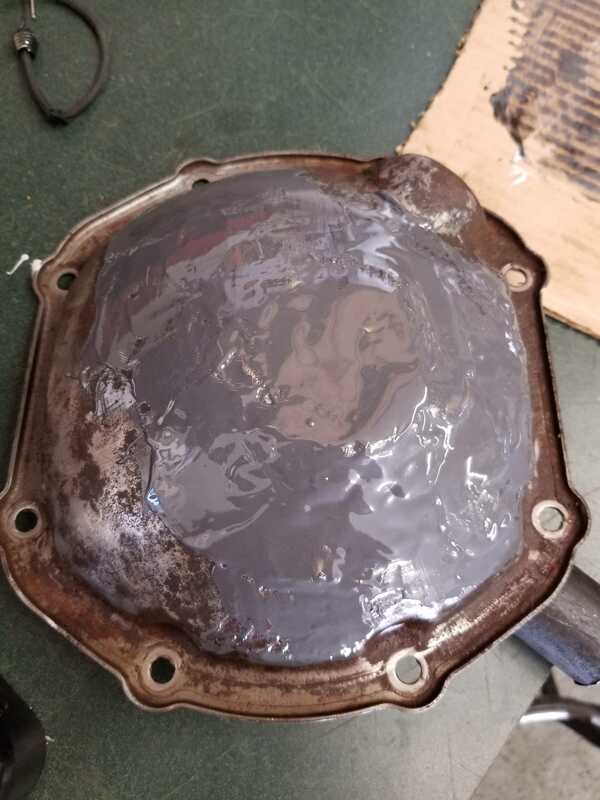 Being a truck motor, the oil pan had the sump in the rear of the pan. This would not work with the car due to the steering. 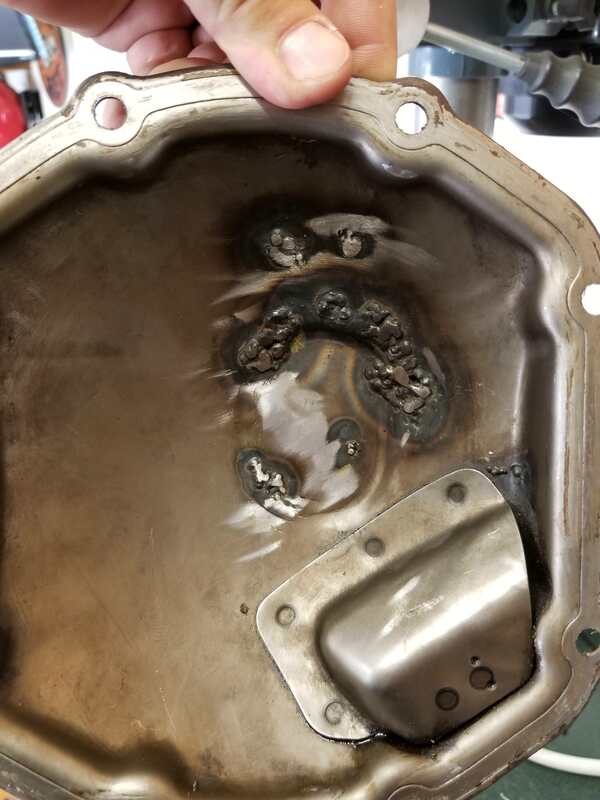 I had to order a new oil pan and pickup that put the sump in the center of the motor. While I had it out i measured the sump and pickup and made a baffle. I have seen a few cars done this way before and it seems to work good for them. If i remember I almost copied the conquistidor layout for the pan. I pulled the rear suspension to replace all of the bushings. I noticed that the diff cover was leaking after I power washed it. The cover had some pin holes in it so I welded them up and covered the entire cover in JB Weld. I know its not the prettiest thing in the world but right now I don't have a replacement until I find someone that has one. If you have been following the building you know that the car had been in a front end accident at some point in its life. 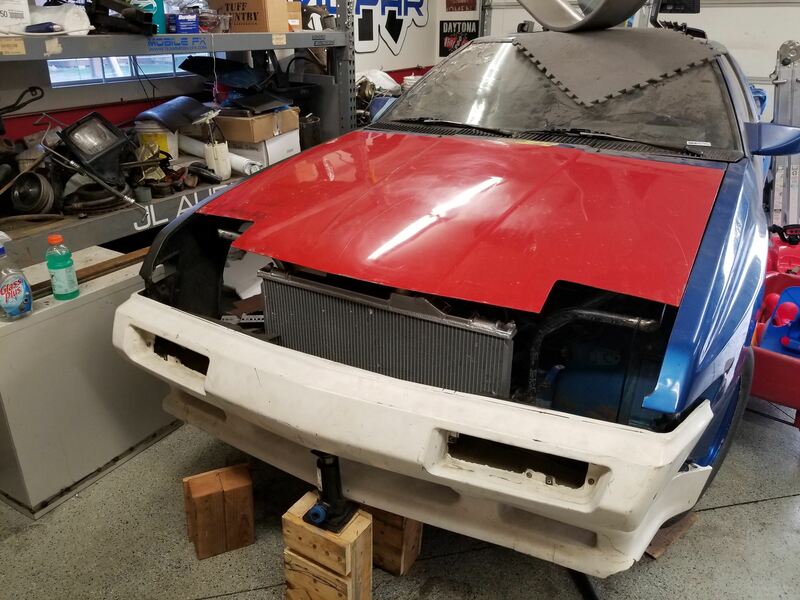 The front end of the car was pretty mangled with some real shotty work to get the bumpers, fenders, lights and ever other thing up front the bolt back on the car. I cut all of that off and had the frame straightened. I decided that I am going to put more steering angle in to the car so I also cut out the inner fenders for clearance. 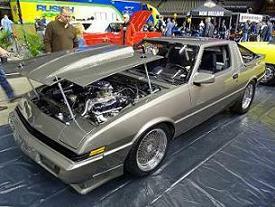 I will be making my own inner fenders once I have everything mocked up as best I can in the engine bay. I am not going to put the flip up headlights back in the car due to weight. I already added several hundred pounds with the motor. I am making a fixed headlight set up using the headlight doors and LED cubes or projectors. I made a tube frame on both sides to be able to mount everything to. This will house the mounts for the radiator, bumper, headlights, fenders and hood. On a side note. I need the marker lights and the passenger side bracket for the fender to mount to the bumper. 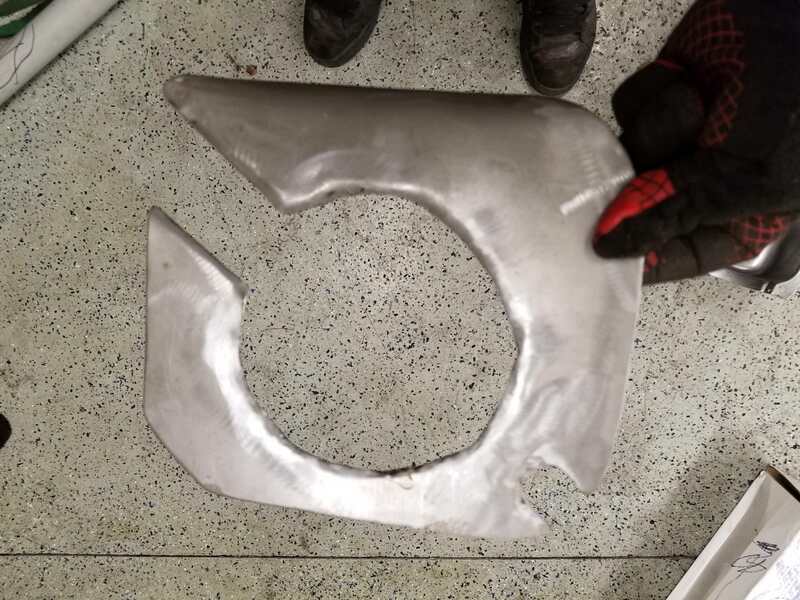 I have attached a picture of the bracket on the drivers side for reference.